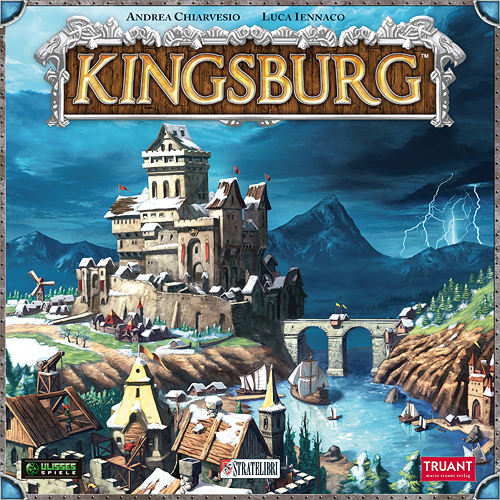 "Combining many of the best elements of European and American board game design styles, Kingsburg has been praised for its clever use of dice and its high level of player interaction. Though dice-rolling is a significant mechanic of the game, the presence of luck never feels arbitrary or excessive. 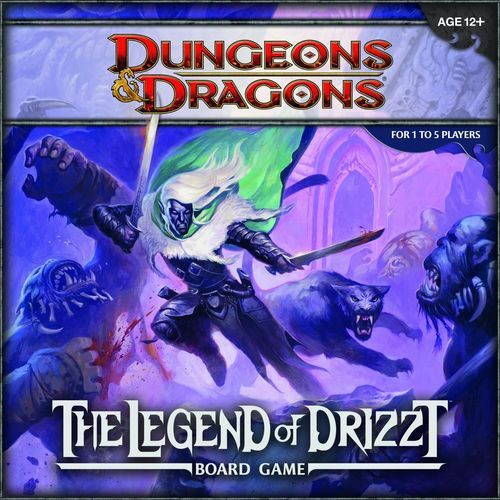 Rather, the game encourages players to apply their dice rolls strategically, in ways that simultaneously benefit themselves and vex their opponents. And while a card-drawing mechanic determines the nature and difficulty of yearly NPC enemies (these enemies must be faced by each player individually, and failure against them can cause major setbacks), players can “scout the draw” in advance by influencing the right advisor. 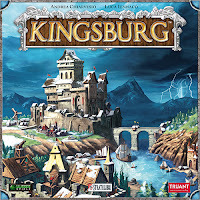 This means that players who have devoted resources to acquiring this valuable intelligence can adequately prepare for the coming onslaught while their opponents languish in ignorance... or they can bluff, exaggerating the threat and compelling their opponents to overspend!" 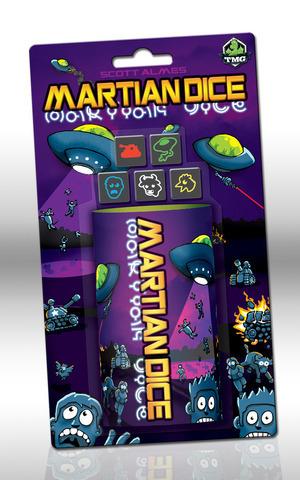 Another fun game just in is Martian Dice where you Swoop, Scoop, and Score! You are the Martians coming to earth to abduct Humans, Cows, and Chickens. Catch this video review by Reviews Without Pants. 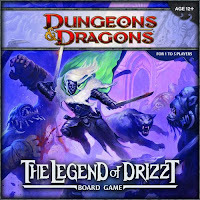 Catch a game play video by Wizard of the Coast.